Dive into the underwater life was a pleasant experience. Moreover, if the underwater habitat is still natural. Tomini Bay is one place is perfect. 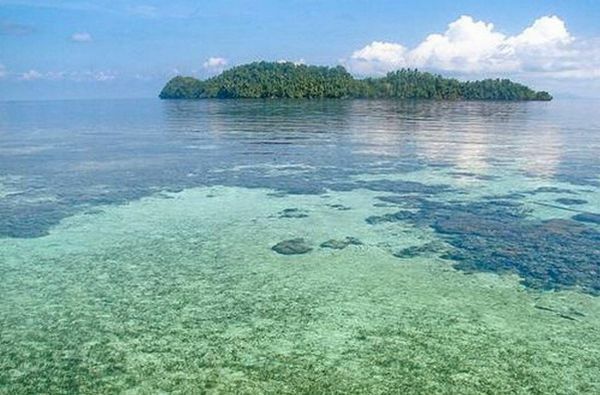 This Gulf is only a few minutes from the city of Gorontalo, North Sulawesi. Diving is the bay to enjoy the wealth of biological diversity and unspoiled coral reefs and perfect. Bay is famous for its underwater habitat and beautiful marine life that also features several small islands that are not far away. Tomini Bay is a paradise for divers, because of its geographical position which crossed the equator. Olele village famous for its diving a challenging place among the world of professional divers. Olele Beach is the gateway to the underwater paradise. The beauty of underwater life extraordinary in this area have been recognized and proven by antusianisme the divers who come to the beach Olele. The divers called Olele as the most beautiful dive sites. In the Gulf and beach Tomini Olele, you can find some underwater creature or possibly the most stunning.